Do you want to adjust the burning rate of your joint? We got you covered. Let's see what makes the joint burn fast and what makes it burn slowly. All marijuana connoisseurs want to enjoy ultimate joints. There are many factors that decide whether a joint is dank or rank. The burning rate of a joint is a crucial factor that can make or break the experience. So, let’s get to it, what affects the burning rate of a joint. The moisture level of the bud will determine the burning rate of a joint. When the cannabis plants are harvested, they are subject to curing techniques, which allow the moisture to evaporate from the buds. If the buds disintegrate when you touch them, like dry leaves, the buds are probably too dry and will burn rapidly. The ultimate moisture levels of the buds should be around 10%. If you mix with tobacco or other substances, consider their moisture levels. 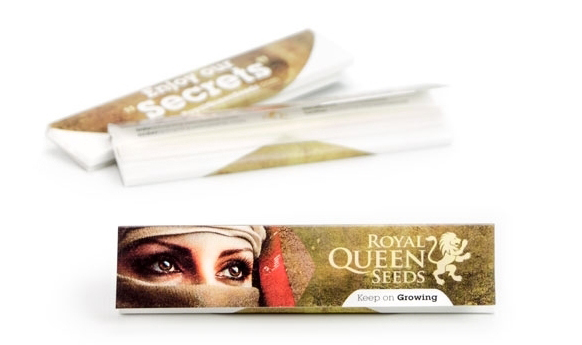 Another significant factor is the quality of the rolling papers. First of all, the thickness of the papers will determine the burn rate. With thinner papers, a larger amount of air is able to pass through, causing the joint to burn slower. Second, smoking papers are made from different materials. Papers can be made from flax, hemp, rice, wood pulp etc. So choose the ones that burn the best. Third, the additives can cause the papers to burn fast, so if you want a slow burning joint and a healthier smoke, thin additive-free papers are a great choice. Some smokers add an extra paper over the joint to prevent sideburns and make the zoot last longer. Tightly packed joints burn slower than airy ones. The diminished airflow passing through a condensed joint stagnates the burn rate. If the joint is too tightly packed, it will be hard to smoke, and you will make strange facial expressions. If the joint is packed loosely, it will burn quickly, the mixture might be falling out, the burn rate will be uneven and the experience will be undesirable. So pack it tight, but not too tight! The weed needs to be ground evenly for an ultimate joint. If the buds are uneven in size, which happens often when crumbled by hand, the joint will burn unevenly. Make sure to buy a quality grinder that cuts evenly throughout the entire grinder. Let’s get the obvious out of the way. If you inhale the joint intensely, it will burn faster. So if you want the joint to burn slower, pace your inhalation intensity and relax. Some cannabis connoisseurs like to add cannabis wax into their joints. It makes the joints burn slower and it adds a nice cannabinoid boost. The wax is spread thinly on the inside of the joint before adding the mix. Some mavericks are reported to be using honey on the inside of the joint to slow down the burn rate and get a nice honey tasting. Some people glaze the outside of the joint and sprinkle some ganja on it, which looks pretty cool. But things can get messy pretty fast. Some tokers like to smoke fast, some like to chill and pace themselves, either way, now you have the knowledge to improve the burning rate of your joint. So next time you're rolling with your friends, use the provided knowledge to create an ultimate joint and gain instant respect.